Mr. D’Ambrosio practices in the areas of patents, trademarks, and copyrights including patent counseling, preparation, and prosecution. He regularly advises a national and international clientele on all aspects of patent prosecution, trademark, and licensing matters, and is extensively involved in validity and infringement opinion work. He drafts patent applications, works with patent examiners, and handles appeals at the Board of Appeals and Interferences of the USPTO. Mr. D’Ambrosio began his professional career as a stress analyst in the aircraft industry with the Helicopter Division of the Boeing Company. Mr. D’Ambrosio was the lead stress engineer representing Fairchild Hiller on the LTV-Fairchild Hiller team developing the C-142 aircraft. He served as instructor for the Patent Resources Group during 1982–2000 for the Claim Drafting course and during 1990–2000 for Advanced Application Writing and Claim Drafting. He is a member of the American Intellectual Property Law Association, Pi Tau Sigma, and Phi Alpha Delta. From 1966 to 1969, he was a Patent Examiner at the U.S. Patent and Trademark Office. 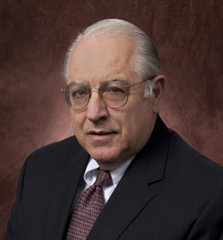 From 1983 to 2003, Mr. D’Ambrosio was a shareholder with an intellectual property law firm in Arlington, Virginia.